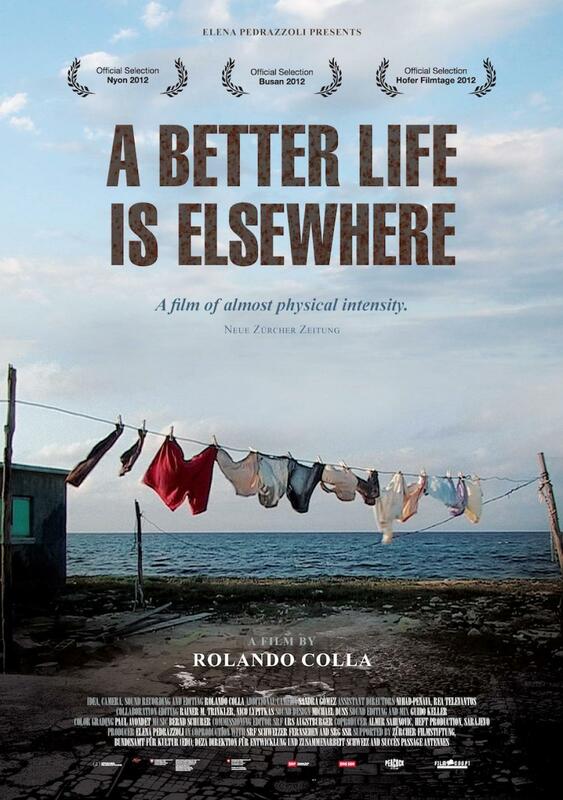 A BETTER LIFE ELSEWHERE The film takes place in three nations: in Switzerland, Cuba and Bosnia. In each of these three countries we accompany persons who dream of a better life elsewhere. DAS BESSERE LEBEN IST ANDERSWO Drei Länder: Bosnien, Kuba und die Schweiz. Drei Menschen: ein Schafhirte (Enver), ein Psychiater (Emilio) und eine Krankenschwester (Andrea). Der unterschiedliche Alltag dieser drei Menschen, ihre Träume, ihre Sehnsüchte. Der Film folgt Enver, Emilio und Andrea über die Dauer von rund 10 Jahren. Doch was ursprünglich als Film über die Verwirklichung von Sehnsüchten gedacht war, entwickelt sich zu einem Film über die Frage: Was bestimmt unser Leben? Wir selbst? Die anderen? Der Zufall? Das Schicksal? KURZSYNOPSIS Drei Länder: Bosnien, Kuba, die Schweiz. Drei Menschen: ihre Träume, ihre Sehnsüchte und was in neun Jahren daraus wird. From the programme of the Festival Visions du réel in Nyon: For eight years, Rolando Colla follows three people who are trying to change their lives: a lonely shepherd retreated into the mountains of Sarajevo; a Cuban psychiatrist and hard rock fan attempting to break out of the system, and a Swiss single mother determined to emigrate. A long-term study of the way people wrestle endlessly with their dreams. Pendant huit ans, Rolando Colla rencontre trois personnes qui essaient de changer leur vie: un berger solitaire qui s’est retiré dans les montagnes de la région de Sarajevo; un psychiatre cubain, amateur de hard rock, qui tente de s’échapper du système; une mère célibataire suisse, qui veut à tout prix s’installer à l’étranger. Cette étude au long cours observe en profondeur notre lutte sans fin avec nos rêves.